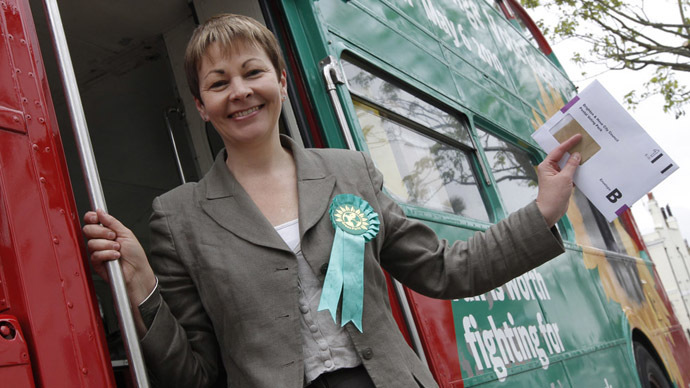 Former Green Party leader and Brighton MP Caroline Lucas called for a ‘No Party’ option to be added to UK ballot papers to avoid people ‘spoiling’ their ballot and to instead send a clear message. “In the future I would like there to be a box on the ballot form marked ‘No party’ so that anyone who does not want to vote for a given party can make that known, without having to spoil their ballot. It would send a very clear message to politicians of all parties if ‘No party’ won,”Lucas writes in an article for the Telegraph. She goes on to discuss the struggle women of past decades went through to achieve universal voting rights, such as the suffragette Emily Wilding Davison, who was trampled to death by one of King George V's horses in 1913. “Knowing what the suffragettes went through to give us the vote, I think not voting would do a disservice to the historical price that so many women paid,” Lucas writes. “The most important issues to me at the moment are the climate crisis, the growing inequality in our society, and our broken political system, underscored by an undemocratic voting system,” she adds. Lucas, who has recently been endorsed by comedian and self-styled revolutionary Russell Brand, is seeking re-election in in her Brighton constituency. In April, 40 prominent public figures, including Sir David Attenborough, Lily Cole and Thom Yorke, penned a letter calling for Lucas’ re-election. “Over the last five years, Caroline has eloquently addressed many of today’s most pressing issues – from accelerating climate change to sustainable farming, from human rights to a just and sustainable economy. This leadership matters all the more at a time when the mainstream parties are finding it so hard to address these challenges properly,” the letter read. A campaign on the site 38degrees calls for the introduction of a “None of the above” option on ballot papers. The campaign’s petition, which has been signed by 9,575 people, says spoiling the ballot in protest or abstaining altogether for want of a desirable candidate are “meaningless” measures. “Having a formal ‘None of the Above’ (NOTA) option on ballot papers is the only way to formally withhold consent at an election,” the petition reads. There are several other websites dedicated to the same aim of introducing NOTA options, including Vote None and No Candidate.